I studied Glass Production and Design at UCOL, Wanganui, 2002. Upon leaving there, I gained more skills by working with glassblowers in the US and NZ. The lure of Northland brought about my return to Whangarei in 2008, where I set up shop, first in town and now in Parua Bay. I am located on a ridge overlooking the sea. This constantly inspires me and informs my work.Through the use of colour and form, I create glass that is my own unique take of ancient techniques like cane roll ups, murine, incalmo, filigree and latticino. Also, I am continually fascinated by the way minerals react with each other in the presence of extreme heat and pressure. 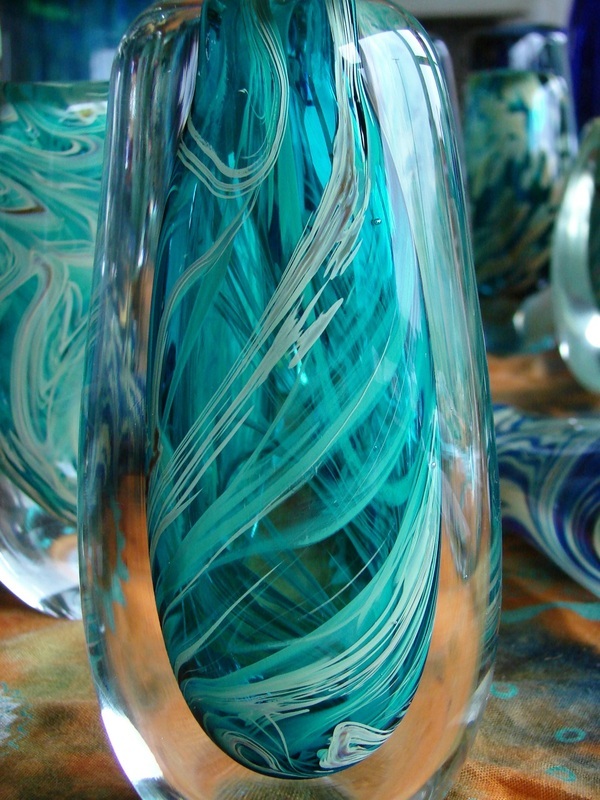 Capturing the beautiful liquid forms and stunning colors that glass has to offer is my constant challenge. My work is represented by art galleries throughout New Zealand and is in private collections in the US, Canada, and Australia. I am a member of NZ Society of Artists in Glass and the Glass Art Society (International). I have been encouraged by receiving awards for my work. I was an invited resource artist for Collaborationz 2013, where local and international artists worked together to create outstanding pieces of art.